Map design can be a term used for many kinds of maps, e.g. 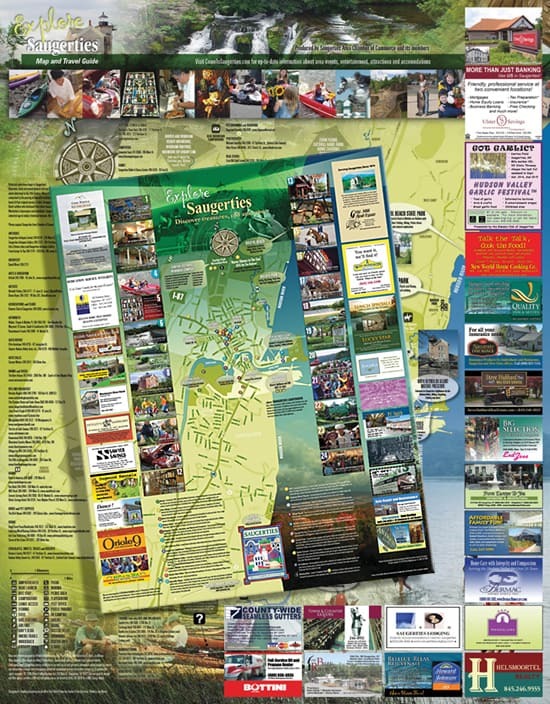 tourist maps, business maps, subway maps, road maps, hiking maps and so on. I’ve created hundreds of simple maps used as directions for brochures and websites. Above, is the latest tourist map that I designed which included an accurate (to scale) road map, points of interest and business listing. My services included the entire project from ad sales to printing. Most of the photography was performed by me or was borrowed from a large photography archive I have built of the past several years.